Virtual Reality VS Augmented Reality – Who Wins? As technology advances, so do the exciting offerings that are available to us consumers. Once upon a time, we had black and white TVs, then came color, flat screen, HD and now 3D. Our latest smartphones are now as powerful as some early computers. Technology is literally at our fingertips. There are currently two big technologic advancements to look out for, both promising to rock our worlds: virtual reality (VR) and augmented reality (AR). On the surface, the differences and benefits of these two mediums may not seem all that obvious. But trust me, there is a battle happening between these two giants and it’s time to pick your side. So who wins? Well, first let’s take a look at them individually. Virtual reality is an immersive multimedia or computer-simulated reality. It’s technology that essentially replicates or creates an environment and then simulates a user’s physical presence in that environment in a way that lets them interact with it. Pretty cool, let’s admit it. Virtual reality can create a sensory experience which can include sight, touch, sound and even smell. There have been many examples of VR over the past few decades, but the first example of what we now consider as VR was invented by Morton Heilig in the mid-1950s. Heilig was a cinematographer who developed a contraption called the Sensorama, an arcade-style theatre cabinet that would stimulate all the senses, not just sight and sound. It featured stereo speakers, a stereoscopic 3D display, fans, smell generators and a vibrating chair. Heilig’s intention was to fully immerse the individual in the films that he created. Today, VR has moved on quite a bit, but the principle is exactly the same and you still need some sort of kit to immerse yourself in the virtual world. The much awaited Oculus Rift finally started shipping out to its band of eagerly awaiting pre-order customers in late March 2016 – all 60,000 of them. Bought by Facebook in 2014 for $2 billion, the Oculus Rift is the first commercial VR system of its generation to hit the consumer market. Early reviews are mixed. While nobody is questioning the awesome power of this new VR technology, the practicalities of strapping a cumbersome box to your face for the sum of $1,500 is holding people back. In this coming year we’re also going to see offerings from HTC (the HTC Vive) and Sony (the Playstation VR), which will may make VR more accessible and push prices down with increased competition. Still, VR enjoyment is expected to be will be confined to inside the home. Augmented reality takes our real-world environment and augments (or supplements) elements with computer-generated sensory inputs such as sound, video, graphics or GPS data. Essentially, the user’s view of actual reality is altered by an application. Unlike VR, AR brings the manipulated reality into the user’s world, as opposed to transporting the user to a manipulated reality. It might sound like a small difference on paper, but each experience is very distinct. Also like VR, AR is not a new development. It’s one that’s been in the pipeline since the 1960s. Ivan Sutherland has been credited for making the first AR device in 1968. His head-mounted display system, called the “The Sword of Damocles,” was suspended from a ceiling and displayed simple wireframe rooms depending on the position of the users gaze. Fast forward to today, and most people have experienced some of the hype around Google Glass. This was our first adventure into the possibility of a wearable piece of AR tech, and perhaps we weren’t quite ready. Google hasn’t officially released unit numbers sold, but Statista estimates that about 831,000 pairs of glasses were sold in 2014. 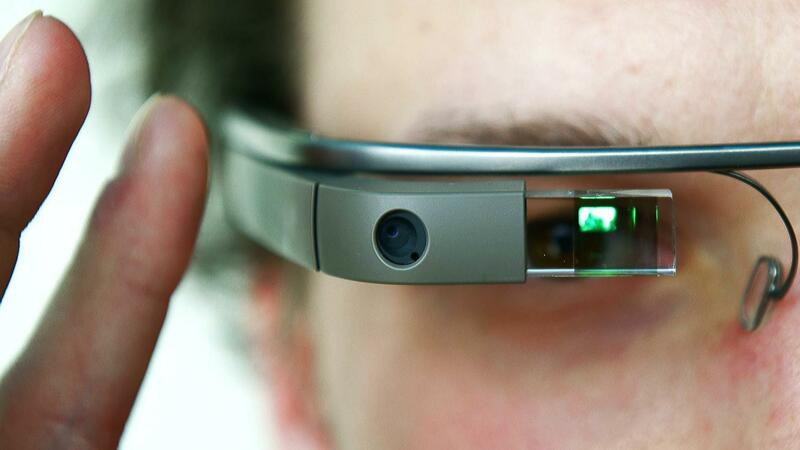 Google Glass has been put on temporary hold for now, but it hasn’t been a total disaster. In fact, Google Glass has brought AR into discussion and has opened the door to more developers to bring it into our world. At the same time, Microsoft is working on their HoloLens AR headset glasses, and developer kits are scheduled to hit the gadget market in early 2016. Google has also invested in a company called Magic Leap, whose technology beams lasers into the viewer’s iris to activate AR – this crazy sci-fi development is scheduled will be with us in yet another year’s time. We’re undoubtedly seeing the public is seeking out more realism than ever before. Consider the massive popularity of unscripted, reality television shows, from talent shows to documentaries. In a 2016 survey by One Poll, 39% of participants admit to watching it, 47% of which have binge watched reality shows at some point. Interestingly, 42% of participants aged 25 to 34 believe that reality television is absolutely real. But audiences’ thirst for reality also takes subtler forms. Take a look at PokerStars’ Live Casino offering, which allows the online players to experience the buzz of an actual casino by playing games on a direct live stream link to real dealers. These are but few examples of the many levels in which we express our desire to experience the realities of the real world without having to physically be there. From watching the private lives of individuals living far from where we do, to conversing with actual human beings when gaming online, our cravings for realism seem to be insatiable. So, both of these technology giants seem like they have benefits to offer, but who wins? Well, perhaps the answer is that they both do. As I see it, as consumers we are on the hunt for the next level of interaction and VR and AR both have a role to play. VR is certainly going to be more about content and gameplay. Its totally immersive nature means users can’t turn away from it – making it the only medium that guarantees the user’s complete focus on the content. It’s also the best way to tell a story because the user is part of it, not just passively watching. If you need any proof, The New York Times recently distributed more than one million Google cardboards to its digital-edition subscribers, and YouTube and Facebook are enabling VR online through digital video players. All this means that big moves are being made for a VR takeover soon. On the other hand, AR is going to be more about enhancing our real world. It will add contextual layers of information that we will be able to experience in real time, without the need to take our smartphone out of our pockets and ask Google (or Siri) for information. Thought that the sci-fi world in Minority Report was farfetched? Well, that vision may be closer than we think. There are more and more AR apps being made available that have a host of great real-world applications. Wikitude World Browser, for example, is widely regarded as the king of all augmented reality browsers and acts as the travelers third eye. While using your smartphone’s camera in a given area, the virtual browser — along with more than 3,500 associated content providers — offers you just about any geographically-relevant information you may find valuable in your travels. The future looks bright indeed for both technologies, and we for one are very excited to see what both mediums have to offer. Let’s calling a truce on this fight and enjoy the great benefits of both virtual and augmented reality. Copyright ©2019 TrustedNerd unless otherwise noted.